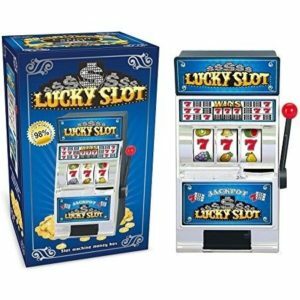 This is a Mechanical Metal and Plastic functioning slot machine/ coin bank combination. It is completely mechanical (no plug and no batteries) and in fully operational condition. Measures 9″D x 12″W x 16″H. It’s great fun and in excellent physical and mechanical condition. 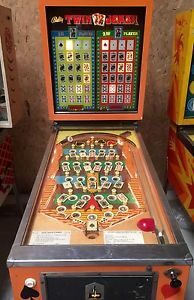 Some surface/finish wear on the plastic face at coin slot and in plastic coin tray that is pretty insignificant in my opinion. 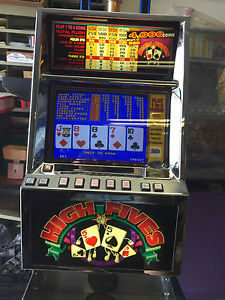 Entire machine exterior is cast and sheet metal with the exception of inset “chrome”face plate, coin tray, pull arm and coin window. Note the photo of machine with beer bottle for reference. Sorry, bottle of beer not included. -Simply insert a penny, nickel, dime, or quarter (or not) and pull the lever to set the wheels in motion. 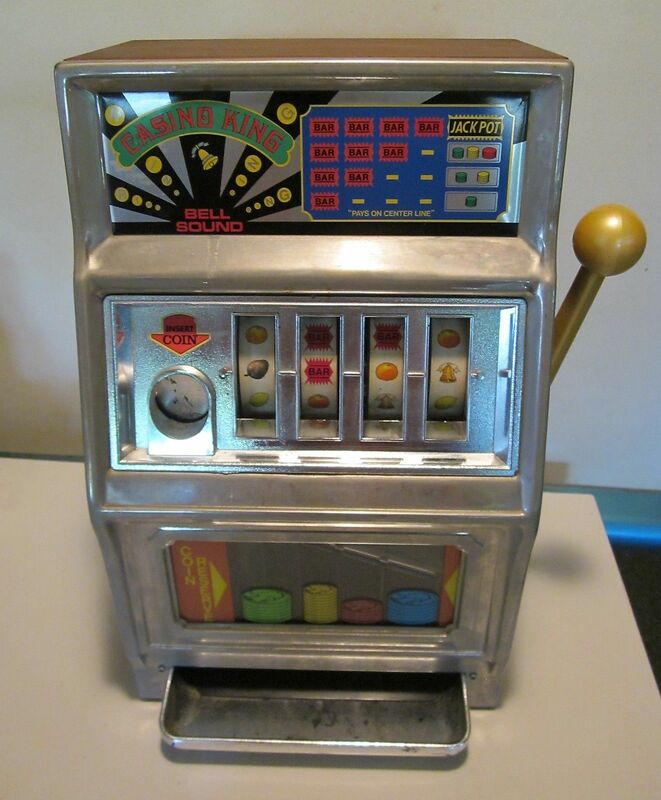 Machine retains coins and will pay them out, if you spin the correct configuration of “bars” as seen on top panel. 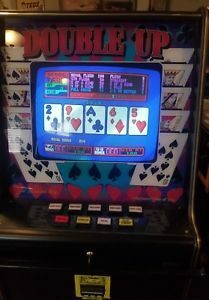 This is technically not a gambling machine, as there is a prominent button on the back that is a release. 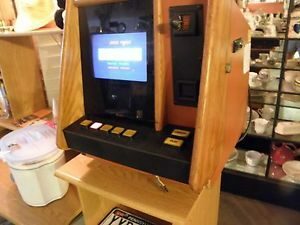 All coins are returned at the push of the button, emptying the “holding tanks”. 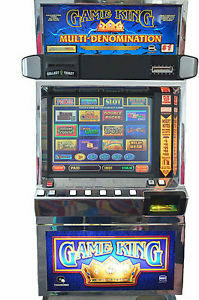 Machine also operates without putting a coin in; there is no “trip switch” for the inserted coin to activate. 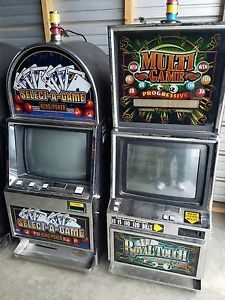 It is for home entertainment and is technically a mechanical bank, but I am treating it as a slot machine per eBay standards.